Generally corrugated, testliner and kraft paper use waste paper to produce paper, sometimes high quality paper(double face) need wood pulp as the top layer pulp. This pulping process need Chain conveyor, Pulper(contain Drum pulper and Hydrapulper, this depend on capacity), High density cleaner, Screening system(divide coarse and fine screening system), Low density cleaner, Inflow pressure screen. During the pulping process need agitator and pulp pump to translate slurry to next equipment. Living and cultural paper belong to high qulity paper, require higher than other paper, so some paper mill produce tissue paper and writing paper use waste book or wood pulp as raw material, if use waste book as material need deinking machine, stock washer and disc refiner to make the pulp meet paper making requirements. 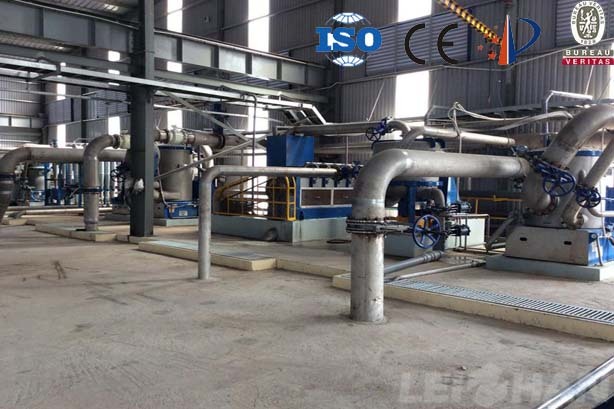 The paper pulp machine technical data is according to paper making capacity to be designed, at the same time we also supply paper machine for various kinds of paper making, if you have any need, feel free to contact us.